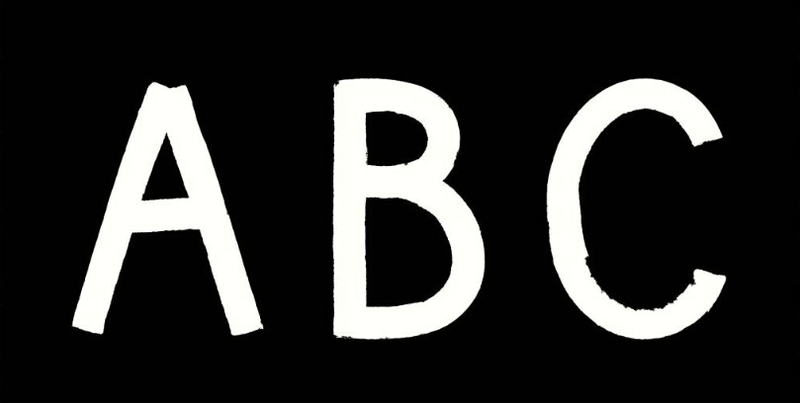 The ABC Glasgow, an exhibition in collaboration with Kellenberger-White, opened its doors on Friday 8th April at The Art Space, Glasgow. The exhibition by Kellenberger-White showcases the creative process that lead to the final visual identity for this year’s Glasgow International Festival. The exhibition will transform Cass Art Glasgow’s art space for over two weeks, documenting the creative process as well as the final artworks from which the visual language was taken. “Kellenberger–White’s approach is characterised by intelligent research and a love of inventing typefaces. For this biennial of contemporary art, they looked at the lettering on ships and warehouses in Glasgow’s docks, and graffiti painted on ships by Greenpeace or nuclear disarmament campaigners at Faslane. Inspired by the scale and speed of hand-painted lettering, they used a roller to paint their own bold alphabet on to B1 sheets of paper. 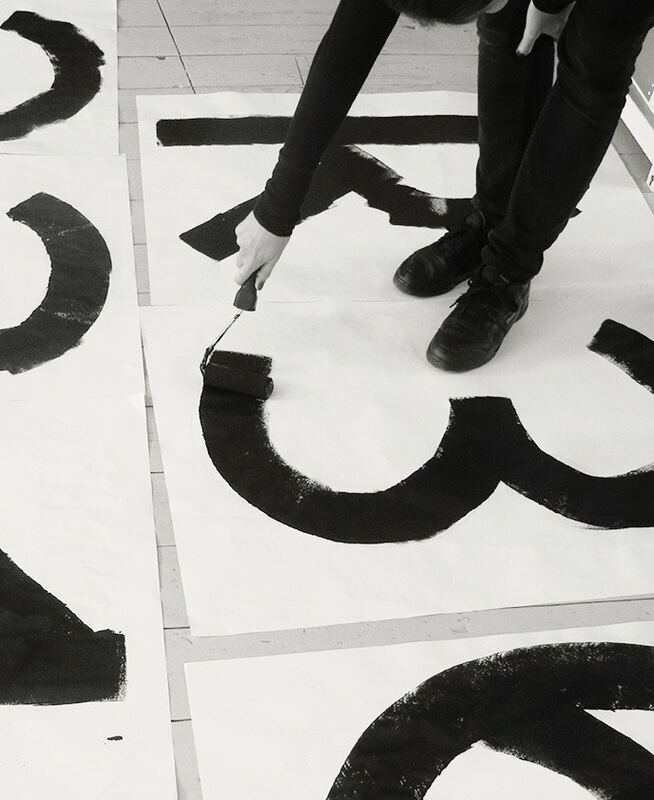 The roller dictated the width of each letter and a range of simple shapes, with slightly rough edges. These were then reduced to create an upper-case alphabet and set of symbols for brightly coloured posters, pop-up banners and brochures. Visitors are encouraged to add to the exhibition. As part of the show, Cass Art Staff have designed worksheets which can be found within the space, for visitors to design their own font in response to the lettering around the room. The exhibition is a free admission to all visitors. Why not try your hand at creating a freehand typeface with our selection of rollers and inks, or visit the online store.